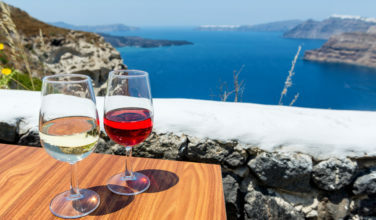 With over two hundred inhabited Greek islands to choose from, travelers will often recommend the most popular islands for you to visit, like Santorini, Rhodes, Mykonos and Crete. But there are so many other beautiful Greek islands that are worthy of being your vacation destination. Today, we’re going to talk about the Greek island of Poros, which actually consists of two islands. The southern part of Poros is called Sphairia, and Kalaureia is not just the northern part, but it is also the larger part. To make getting from one part of the island to the other easier, a bridge connects Sphairia and Kalaureia. As you can imagine would be the case when visiting an island, there are a couple of great beaches in Poros, with the first one being a beach of the same name. What Poros Beach lacks in size, it makes up for with its beauty. The golden sands are lined with sunbeds, just feet away from gorgeously turquoise water that is incredibly clear. If the beach ever gets too crowded for your liking, there are plenty of bars and restaurants within walking distance that are all exceptional. The views of the water from some of these bars are breathtaking, so you’ll want to make sure you bring a camera with you! And while you’d think that Poros Beach would be the best beach on the island of Poros, it’s actually not. That distinction belongs to Askeli Beach. Something that you wouldn’t normally see on a Greek island beach — the sunbeds here are free! And everyone knows you can’t beat free. And get this — there’s waiter service! The drinks on Askeli Beach are more than reasonably priced, and the service is fantastic. 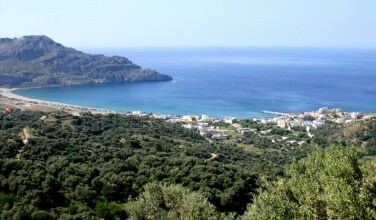 There are restaurants in the nearby area that serve traditional Greek cuisine, making Askeli Beach a great spot to grab something to eat and go for a dip. Although it’s technically not a beach, one of the most popular spots in Poros is Love Bay. There isn’t any sand here, but the water is really warm, and it’s an organized area with sunbeds, music, food and drinks. The water is shallow, so it’s great if you want to bring your kids, and there are plenty of pine trees if you wish to seek some shade. If there’s a downside to Love Bay, it’s that the sunbeds here aren’t free. And, of course, whenever you travel anywhere in Greece, you always have to set aside some time for sightseeing. 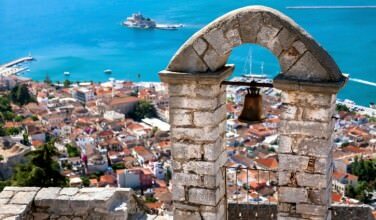 Greece is rich in ancient history, and there are plenty of historical sights throughout the entire country. If you are ever in Poros, you need to go check out the Temple of Posidon. 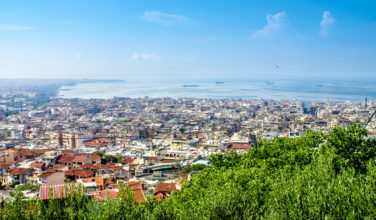 There isn’t much left of the ancient ruins that existed many years ago, but it’s worth it to visit the site just for the historical significance, the information that is provided for all of the visitors right there at the site, and, of course, for the view. However, for whatever is left there at the site, the ruins are in good enough condition to get a good idea of what once stood there.